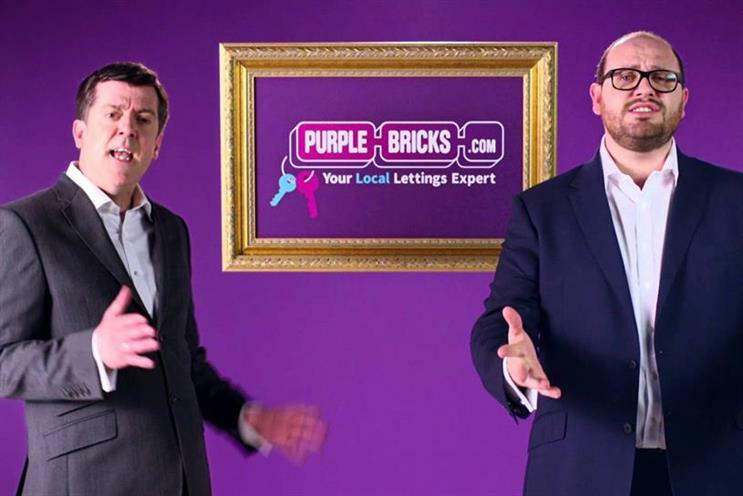 Online estate agency Purplebricks has hired Wavemaker to handle its "multi-million pound" media planning and buying business, as it plans to step up spending on data-driven marketing. The brand has made headway in the property sector since launching in 2012, disrupting traditional high-street estate agents with its claim to sell houses and flats for a fixed fee of £849 - or £1,199 in the London area. Following a strategic review of its UK marketing, Purplebricks has tasked Group M agency Wavemaker with extending its "reach" among home sellers. The review was overseen by Purplebricks chief marketing officer Ed Hughes. Purplebricks previously worked with PHD on its media in the UK but it is understood the Omnicom Media Group agency declined to re-pitch for the business. The review does not impact the brand's international activities in US or Australia, with both markets continuing to be handled by PHD. To date, the brand has invested heavily in TV advertising to develop awareness. However, the appointment of Wavemaker hints at a more rigorous approach to econometric modelling consumer purchase journey mapping. "From the start, I was blown away by what Wavemaker showed us. The team, their analytical approach, the deep understanding of our customer purchase journey and the quality of their thinking, leading to a truly brave and exciting solution to our brief, left us in no doubt that Wavemaker was the right partner to work with us to fulfil our growth ambitions," said Hughes. Since 2016, Purplebricks' creative account has been handled by Chime agency Snap.